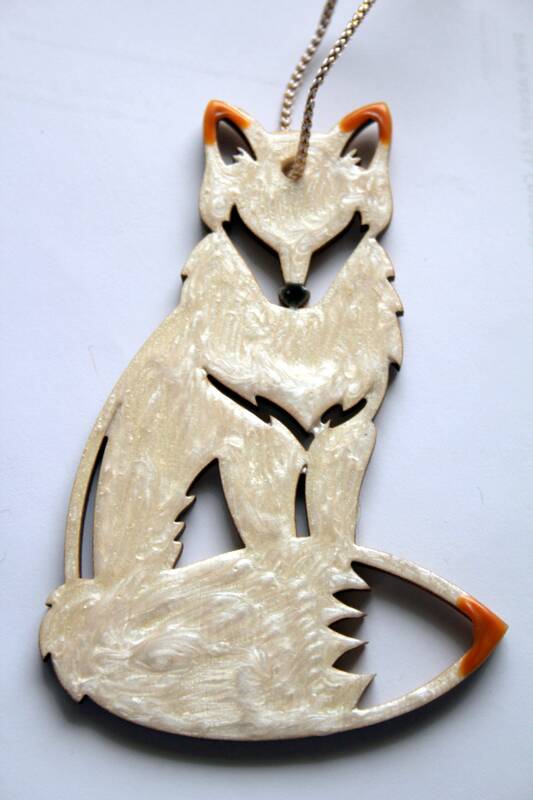 The fox is made by painting enamel over a wood cutout. The fox is 5" tall by 3 1/4" wide at the tail. 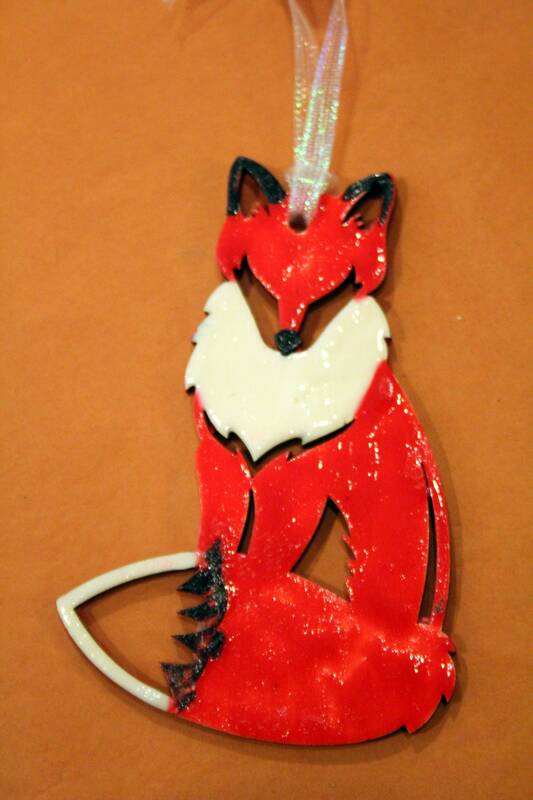 The ornament is hung from a leather like cord or satin like cord depending on color. There are several color options to choose from and I can do custom colors and embellishments if you contact me. This piece is light and can be hung as an ornament or on the wall. Each one is handmade and may differ slightly in appearance. 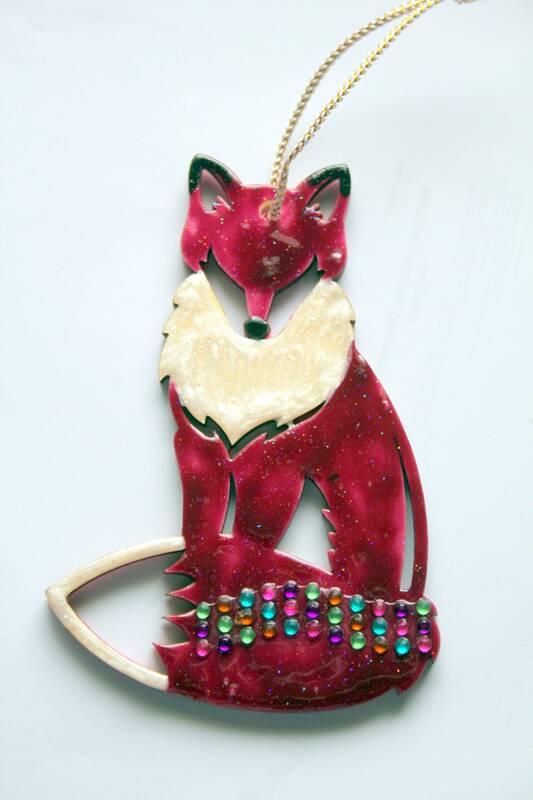 Cranberry Fox is a deep sparkly red with a pearlized white ruff around the neck and multi-colored bead spray across the tail. White Fox is pearlized white all over with gold ear and tail tips. Red Fox is all red with a white ruff around the neck and black ear and tail tips. The fox will be shipped in a gift box with my card.